John Hays picked out ten of his top photos from Day 2 of the Chandler Rotary Invitational to showcase. 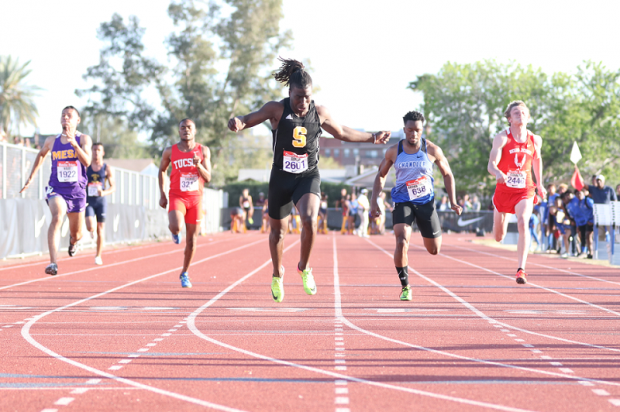 He begins with this shot of Kelee Ringo (Saguaro, Jr.) clocking in at 10.43 to set the meet record in the 100-meter dash. Check out more of Mr. Hays' personal highlights of the elite events in the following pages.